Osteria Ristorante Italiano is ready to celebrate Italy’s national dish in a two month-long tribute called ‘Pastapedia!’ beginning July 1 through August 31, 2018. 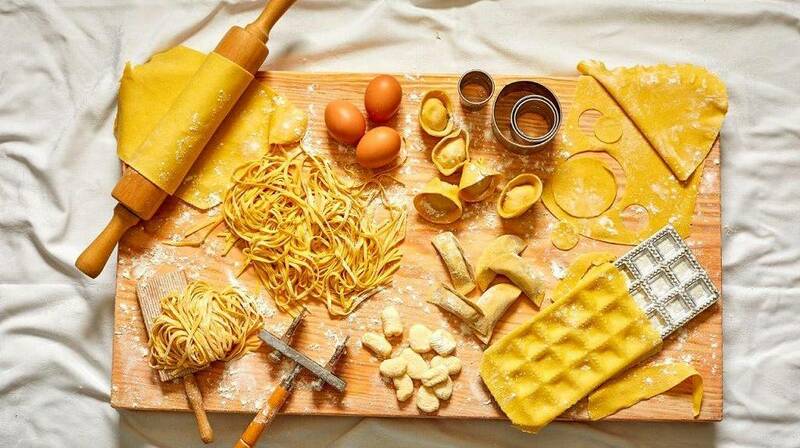 Many ‘pastabilities’ will be offered with traditional handmade pasta playing the starring role in a range of classic regional Italian dishes. That means their hand-crafted pastas are bronze drawn and slowly dried, guaranteeing the flavour, texture and firmness of the pasta after it's been cooked. Along with the handmade pasta selection, the restaurant’s native Italian, Chef Paolo, has created some delightful home made dishes like Pappardelle slow cooked rabbit ragout with porcini mushrooms, buckwheat guitar spaghetti with sautéed clams, beetroot ravioli filled with crab mousse and mussels, meat casoncelli with fresh black truffle, gratinated durum gnocchi Roman style with meat ragout, cannelloni filled with spinach and ricotta gratinated with Fontina, and whole wheat pizza. Dishes are priced from HK$218 up plus 10% service charge. Osteria Ristorante Italiano is located on the mezzanine floor of Holiday Inn Golden Mile, 50 Nathan Road, Tsim Sha Tsui. For reservations, please call 2315 1010 or book on-line through http://www.higoldenmile.com. 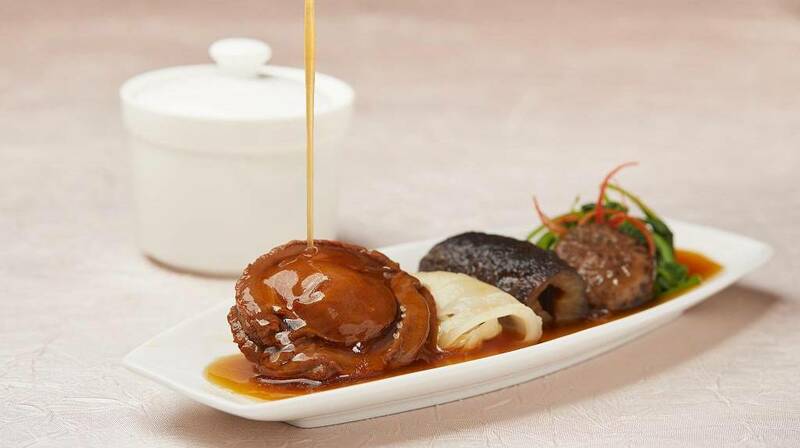 During the months of July and August, the Holiday Inn Golden Mile’s Loong Yuen Cantonese Restaurant will feature an eight-course abalone feast that will impress any seafood aficionado. Special price now only $368* per guest (original price: $738), this eight-course menu features roasted crispy pork belly with jelly fish head, deep-fried prawns with salty egg yolk, steamed pork and shrimp dumpling with bamboo piths and conpoy in soup, braised whole abalone (8 heads) with sea cucumber in oyster sauce, braised broccoli with crab meat, stewed beef brisket with turnip and pepper in supreme soup, steamed fried rice with assorted meat wrapped in lotus leaf and chilled sago cream with mango and pomelo. For reservations, please call Loong Yuen at 2315 1006 or book on-line through http://www.higoldenmile.com. What better way is there to celebrate the Mid-Autumn Festival than with traditional Mooncakes? From 1 August until 23 September, the Holiday Inn Golden Mile’s award-winning Cantonese restaurant, Loong Yuen, presents an exquisite selection of Mooncakes that make the ideal gift for family, friends and loved ones. The simply irresistible White lotus seed paste mooncake with double egg yolks at HK$408 (early-bird HK$285), made with the delicate white lotus seed paste with the premium egg yolks. The Mini creamy custard mooncake with egg yolk is also definitely worth trying at HK$338 (early-bird HK$236), has a soft and chewy gooey custard wrapped with the cookie pastry, a full of texture combination. Simply delectable! Take advantage of the early-bird advance purchase by 1 September. Make this Mid-Autumn Festival super special with extraordinary gifts designed to light up the faces of loved ones. 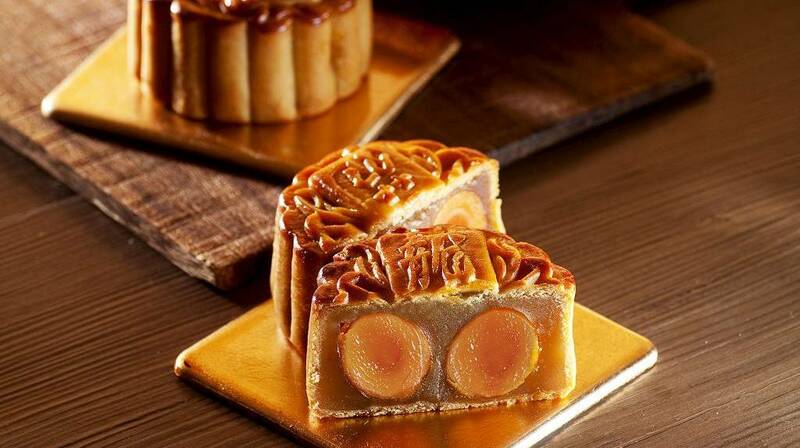 For Mooncake enquiries, please call Loong Yuen at 2315 1006 or order on-line through http://www.higoldenmile.com.